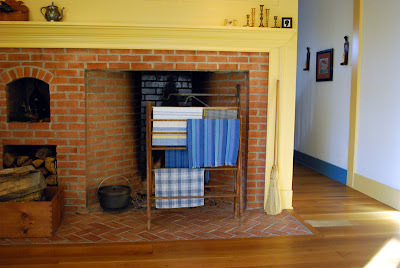 When our fireplace is not lit an old drying rack is set before it. The towels you see hanging as if left to dry, were hand woven. I’ve collected them over our years of visiting museum shops. Both fireplace and drying rack suggest a lifestyle of the past. There are two ways we temporarily escape from the stresses of current events. One is with a keen interest in the future. This is Dean’s form of relaxation. He likes a good science fiction novel or film and lives in the optimistic but risky days beyond the horizon. Nostalgia is my temporary escape. Every little once-in-a-while, I’ll stray away from ordinary practicality. I’ll exchange or enhance an ordinary chore with an activity that allows me to romanticize. 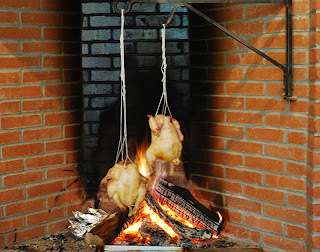 Chickens roasting on an open fire are one such attempt. I am fulfilling a meal requirement while stepping into the past. 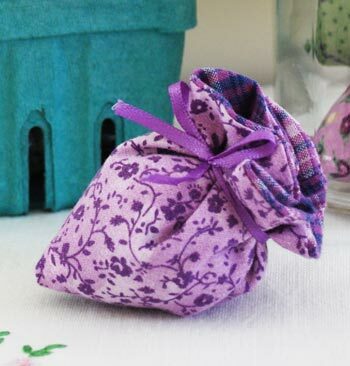 Such a gesture takes extra effort but an inspiring idea has a way of energizing any task. Have you noticed? 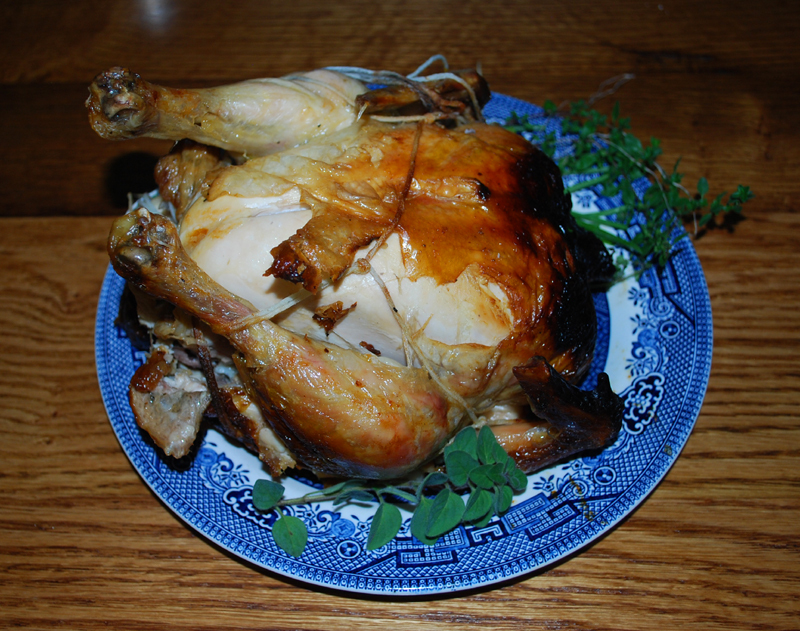 Maybe this cooking idea made its tantalizing appeal while I was watching the scene in the film “It’s a Wonderful Life” – the remarkable way a phonograph was rigged to turn a spit over a fire to cook a chicken. 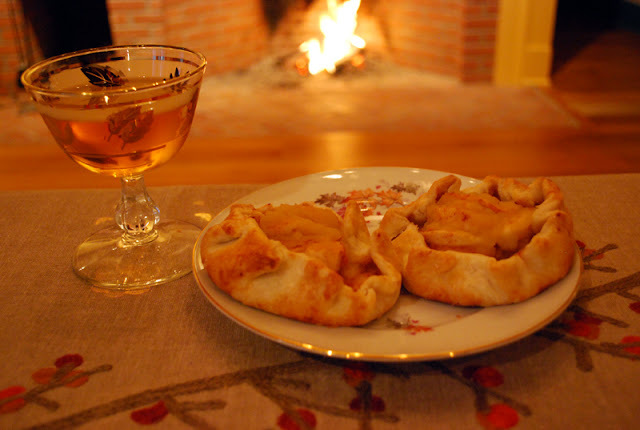 Perhaps it was the day we stood in the Colonial kitchen at the Landis Valley Museum and watched a man in breeches twirling a chicken on string over the glowing embers of a small but hot fire in back of a wide fireplace. 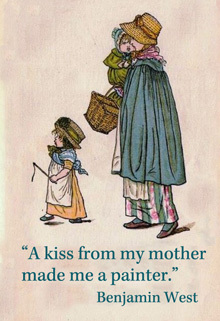 Or, it could have been an old-fashioned illustration I lingered over in a book. 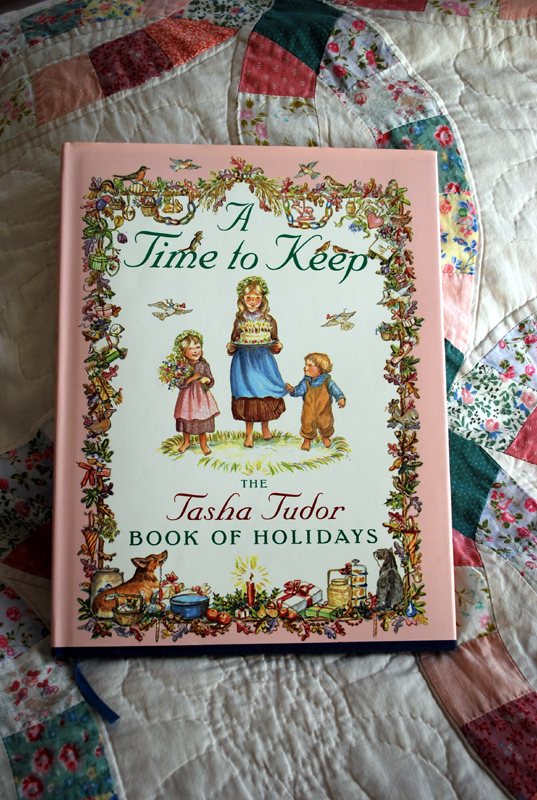 A picture by Tasha Tudor in A Time to Keep comes to mind. Anyway the idea made its appeal and eventually inspired me to carry out what was dancing in my imagination. 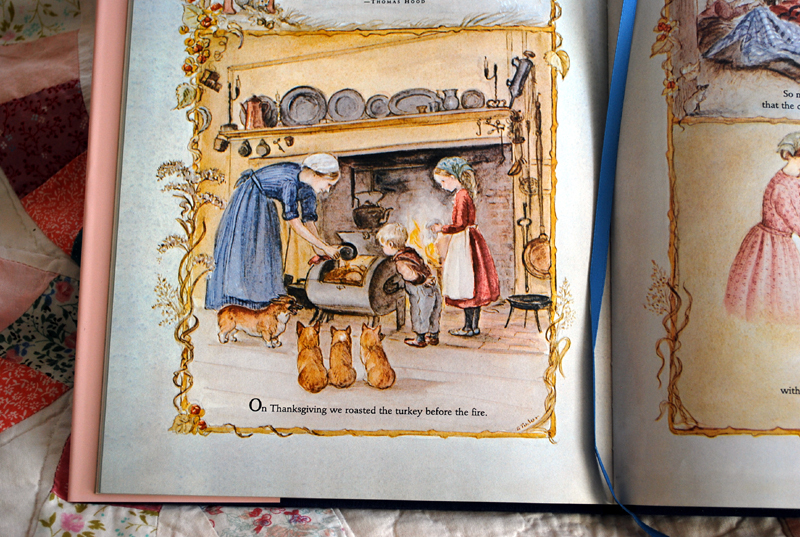 What a bother it would have been to roast chickens in the fireplace if I hadn’t been swept up with nostalgic notions. Every ten minutes or so I was obliged to twist the strings of the hammocks I had made for my birds. After they unwound they would slowly start twirling in the opposite direction – fine and good. But soon they’d need another hardy twist. In between twisting (I walked back and forth) I was making side dishes at the other end of the kitchen. I decided to cook double to “put by” meal-starters for the freezer. Two and half hours of intermittent twisting and the roasters were ready to eat. Dean, my protector, checked doneness by inserting a modern meat thermometer into each. He was unusually generous with his compliments once the table was spread. I like to serve poultry carved off the bone. In this way the carcass is reserved for the stockpot. That’s what I did, too, that day. A large onion, some carrot, stalks of celery, whole cloves of garlic and aromatic herbs help season the stock. After a few hours of simmering the pot is set to cool. Strained, the liquid goes in the refrigerator. It gelatinizes overnight. In its gelatin state it can be spooned into freezer bags. I was more tired on that day of cooking than normally. But I had enjoyed the experience and “put by” so perhaps my romanticizing was an efficient use of my time, after all. 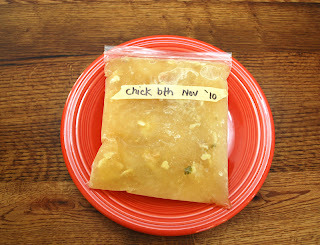 Recently I retrieved a frozen frugal bag of broth made from my nostalgic roasters. 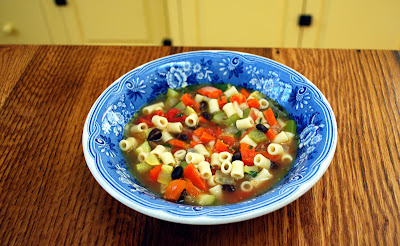 With the recollection of those spinning birds entertaining my thoughts I made a vegetable soup. While the macaroni boiled I prepared the veggies. 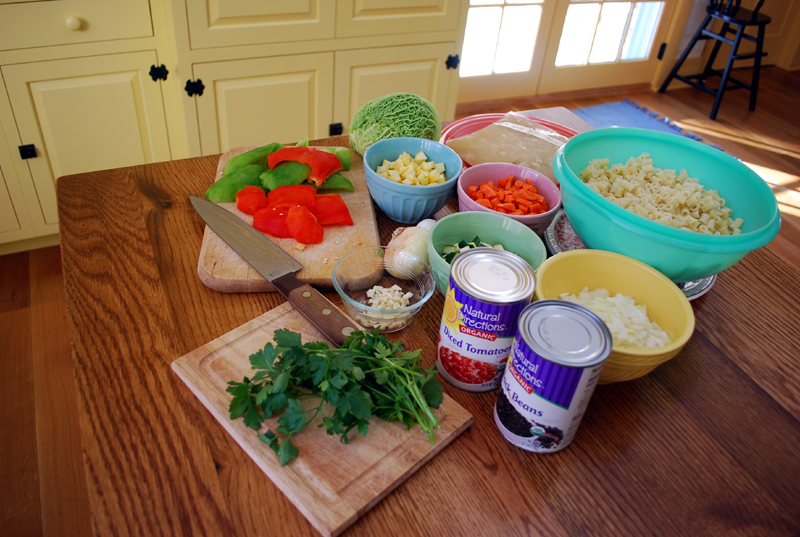 Different bowls of healthy veggies are added to the pot consecutively. Diced summer squash and peeled and diced bell peppers are added last, with a can of black beans and one of tomato to round out the flavors. 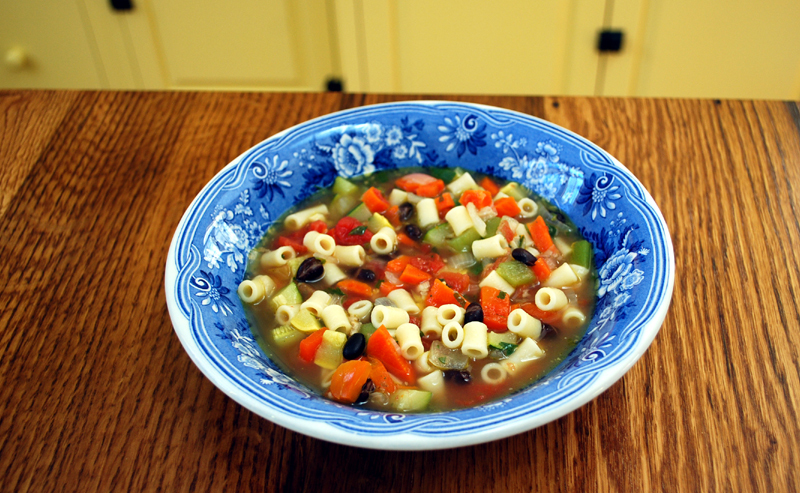 Add a sprinkle of oregano and ladle over a bowl of macaroni. 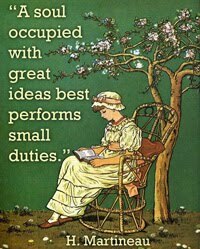 Inspiring ideas (sometimes nostalgic ones) help the homemaker perform ordinary duties. But love is the best inspiration of all. My daughter and her husband made rustic apple tarts. It was a superb finish to a fireside supper on a table set with my mother’s china. Comments are welcome. For those who prefer to send an unpublished message or question, my email is in the margin. 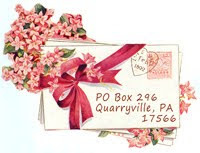 Paper letters, from the nostalgic, are welcome too. P.S. Thank you Dean and Nigel for helping with the photographs. This is so lovely. 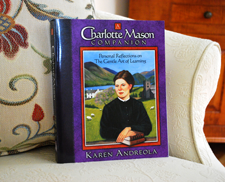 I must tell you, your Charlotte Mason Companion is a favourite with me, I reread it often just to imbue the gentleness and carefulness, as well as the antique mood. Thank you for it, and your other books, and this weblog also. I just found your blog through a comment you made on a friends blog. LOVE IT! I wish we could have a meal together soon! 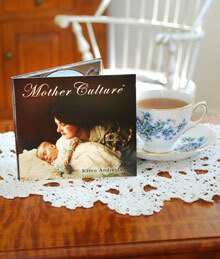 Thank you for the lovely post Karen! I too find a nostalgic visit very theraputic and refreshing. In such a fast paced world it is good to indulge in old home arts to remain connected. I love this old fashioned cooking...my folk are off to cut down trees today, I will be sewing and knitting, I think, and cooking a ham, with green beans and some kind of bread...I'll have to ponder what to make. Thanks for a lovely read today! I watched Tasha cook a turkey in the fireplace on her Christmas DVD recently and could just imagine the taste. Now I can imagine what chicken soup from such roasted chickens taste like. Everything looks so lovely! 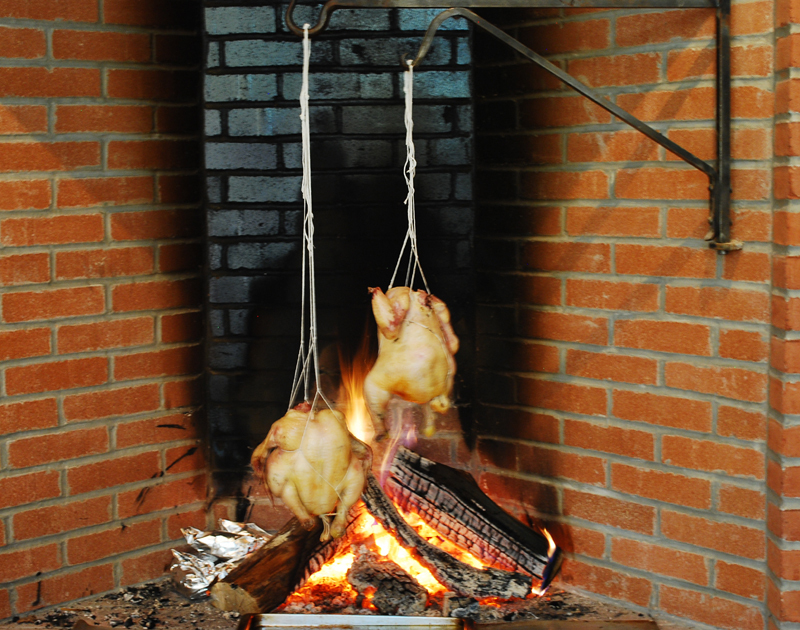 I would like to cook a chicken over a fire as well.. looks like it was delicious! I was blog hopping, thinking that I REALLY needed to go and finish the book (again) in my comfy spot on my couch, and found your post. It wasn't til after I read it that I realized who you were. 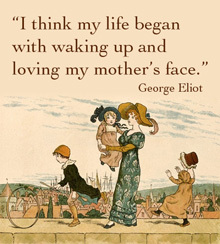 I found it quite funny in regards to my last post on MY blog! I'll be back! I am blessed by your comments, ladies. Linda, what a coincidence. Welcome. Yes, I saw Companion on your blog. Karen Bean, I am happy to hear you've been encouraged by my writing. Brenda, I also like Old Sturbridge Village. Our family would make it a "stop over" during our travels to and from Maine and New Jersey. Deanna, Doesn't it seem unusually quiet to cook in an empty kitchen? Where else but in the kitchen does a homemaker prove how well she can do more than one thing at a time? 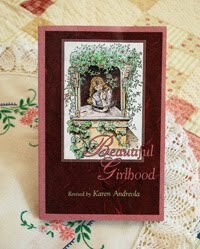 Renee, It is interesting how good books make good company through the years. 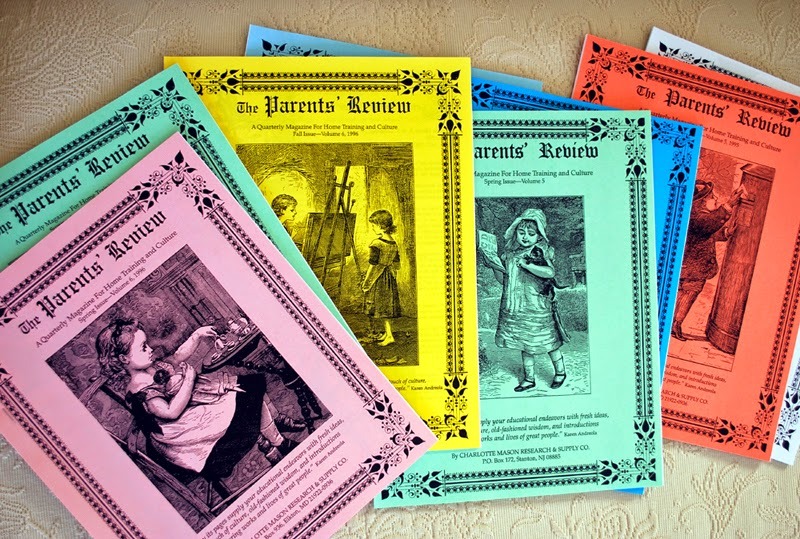 Shirley Ann, Perhaps that is what I seek after when it comes to nostalgia - a slower pace. Sarah, You are sensitive to the tone of a book. I am too. Thank you for sharing how Companion encourages you. The thought of you twisting those chickens over and over, oh my! I do love It's a Wonderful Life though.